EU-Vietnam : let’s get the deal signed! Good news: the EU-Japan trade deal will enter into force on 1 February. 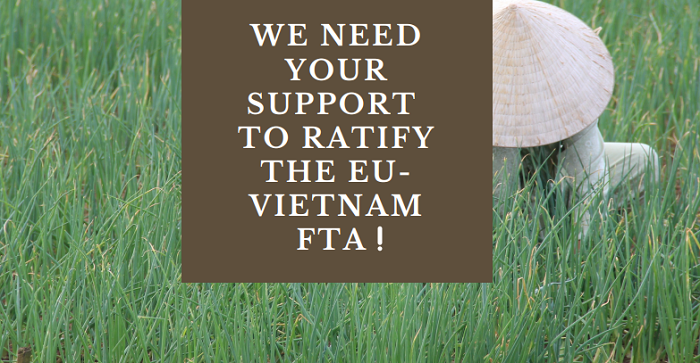 But the EU-Vietnam (EVFTA) deal is still sitting on the table – and has been sitting there for far too long. This week, in a letter co-signed by US and several other European trade associations, spiritsEUROPE urged President Tusk and Commissioner Malmström to avoid a further delay by concluding the legal review so that the European Parliament can ratify the agreement before the European elections in May 2019. Failure to do so would create uncertainty, send the wrong message to our trading partners, and hurt the EU’s credibility in the global trading community. The EU-Vietnam Free Trade Agreement is set to boost economic growth and promote job creation both in the EU and Vietnam. The negotiations were concluded three years ago, and time is of essence: as a fast-developing country of over 90 million people with a growing middle class, Vietnam will be an increasingly important consumer and sourcing market for EU companies. However, European companies are facing increased competition from countries with which Vietnam already has free trade agreements in place, notably the Comprehensive and Progressive Agreement for Trans-Pacific Partnership, which recently entered into force. If the agreement is not approved by the current Council and Parliament, EU businesses risk losing market share in important sectors in Vietnam and harming their competitiveness in the region. For spirit drinks alone, the agreement holds the promise of dismantling a 45% tariffs duty over 7 years and to protect a number of EU Geographical Indications (GIs). There is no time to lose to give the starter! The business environment in Vietnam remains very challenging for European spirits importers which compete with a growing local industry. Over the past years, we had to face a sharp increase of the tax burden, creating heavy difficulties for business operations. There are no winners under such a scenario: business operators would be faced with little or no perspective for growth, consumers would be far more exposed to dubious and potentially harmful illicit products, and government revenues would be adversely impacted. To avoid such a scenario from unfolding, let’s make sure to get the deal signed! Making sure you get the real thing!